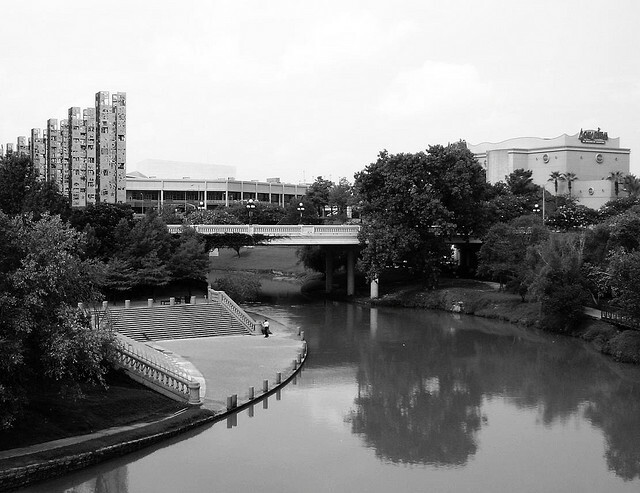 I couldn't find an exact picture of the "bubble," but just over the Preston Ave bridge in Houston, you'll find a giant unmarked red button just begging for you to press it. What does it do, you ask? Well, essentially, it makes the bayou not stink so bad. An artist in 1998 had the idea to create it as a mysterious piece of art, as well as a way to help the environment. By pressing the button, a blast of oxygen is released underwater, creating the bubble effect that keeps the bayou from becoming stagnant and foul-smelling. Great idea, right? Oh, and whether you press the button or not, it still is triggered automatically throughout the day in case onlookers are too afraid to press the big red button. Houstonians have started the rumor that a giant sea creature lurks beneath the murky waters of the bayou, so I hope this clears up the mystery! 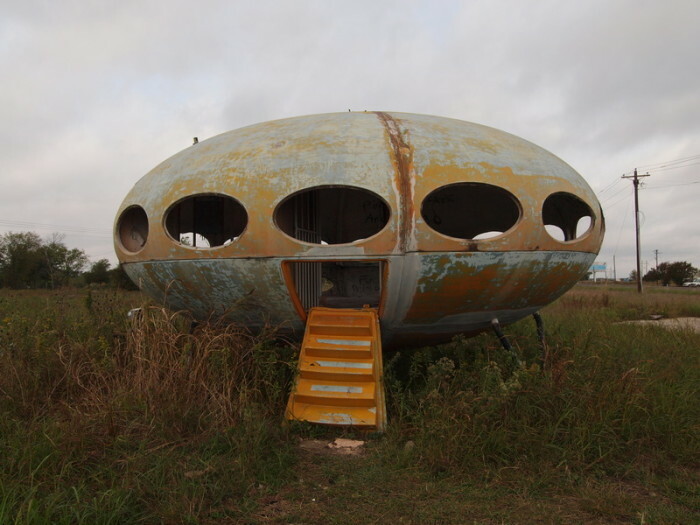 This now decaying little spaceship dwelling was built by a Finnish architect in the late 1960s. 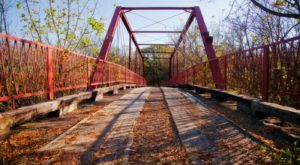 He only built just under a hundred of them, and now less than 50 remain, which makes this a must-see weird attraction here in the Lone Star State. 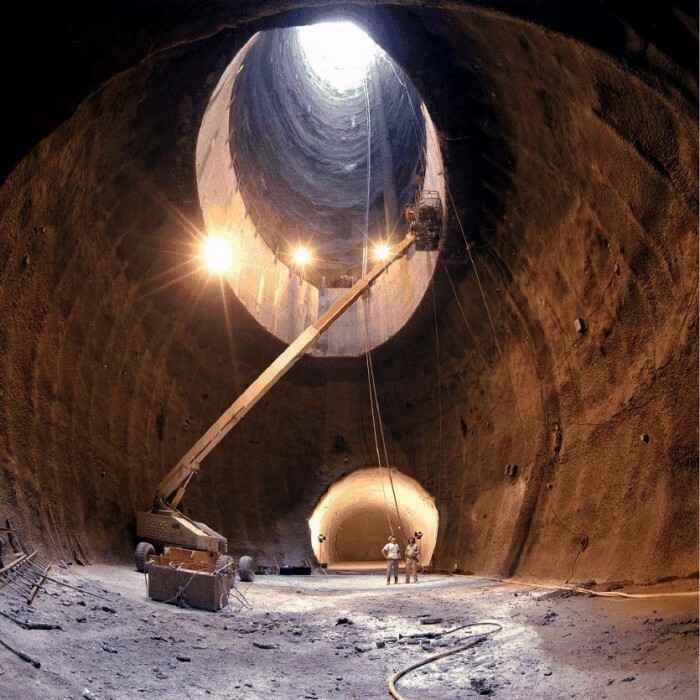 This massive structure was supposed to be used as the world's most energetic particle accelerator. Workers began construction on the site in the early 1990s, but had to stop because Congress cut off funding for the project. It was originally supposed to cost a few billion, but later engineers figured that they would need around $11 billion. Although it was abandoned, you can still venture into the 14 miles of tunnels underground if you can find the adjoining buildings. Welp, this yet again proves that everything's definitely bigger in Texas. What used to be an electrical substation is now home to an array of quirky expressions of art. 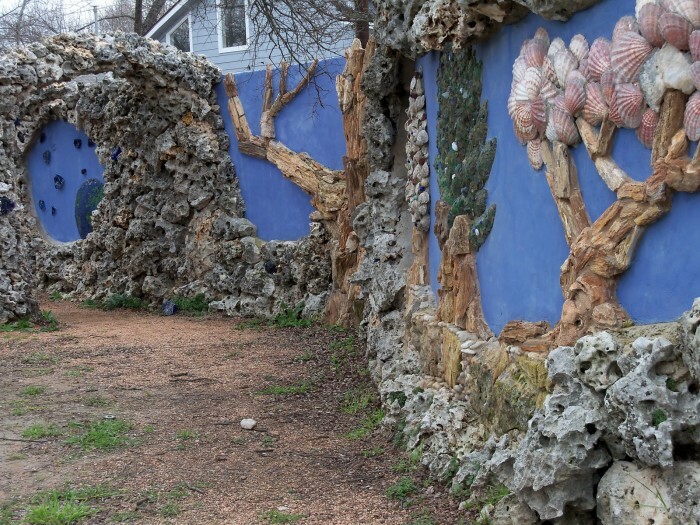 All of the old parts from the substation were used in the masterpieces in the park, so if you want something fun and equally weird to do with your kids or grandparents, take them here for a magical stroll through the artistic junkyards of Sparky Park. In a tiny cemetery located in Aurora, the pilot of a supposed UFO that crashed here in the late 1800s is said to be buried. 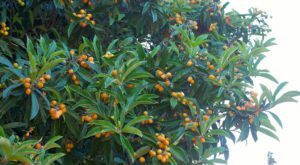 Locals dragged what they described as a "petite" and "Martian" body from the wreckage, burying him, her, or it under a tree branch in the cemetery. 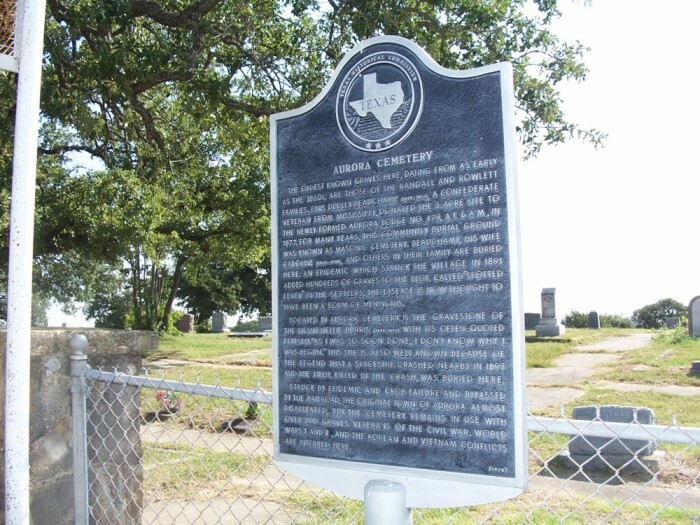 Unfortunately, the alien's headstone was stolen, but there's a historical marker you can view upon getting there which will give you more details to this bizarre happening in an otherwise quiet Texas town. Retired master plumber Barney Smith wanted to display his passion for unique art on the very thing he knew best - toilets. Well, toilet lids, specifically. 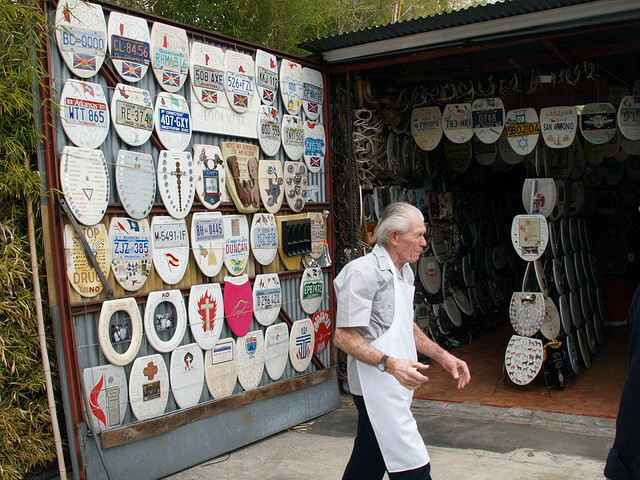 He collected used toilet seats, painting them and adorning them with odds and ends. 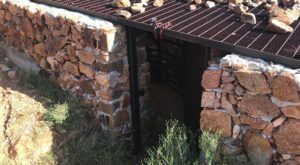 He worked out of his garage originally, but he soon ran out of space, and when the local media caught on to his artistic flair, he decided to open up his own folk museum. By the way, if you just so happen to have an old toilet seat or lid lying around, bring it to the museum when you visit. Your name will be engraved on the seat by Barney himself; that way, your name will be etched into history forever, there for all future generations to see. The coolest thing about this towering statue of metal sheets and spilled gin (more on that later) is that it isn't just one statue - it's three! That's right - depending on what part of the Dallas neighborhood you're in, you will see either his birth, his stroll, or his rest. 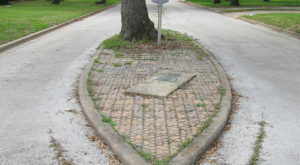 The story devised by the planners of the mascot goes like this: The Traveling Man began his life as a locomotive buried beneath an elm tree, but when a splash of gin was spilled on the roots of the tree, The Traveling Man emerged from the ground. Who cares if it makes sense, anyway? 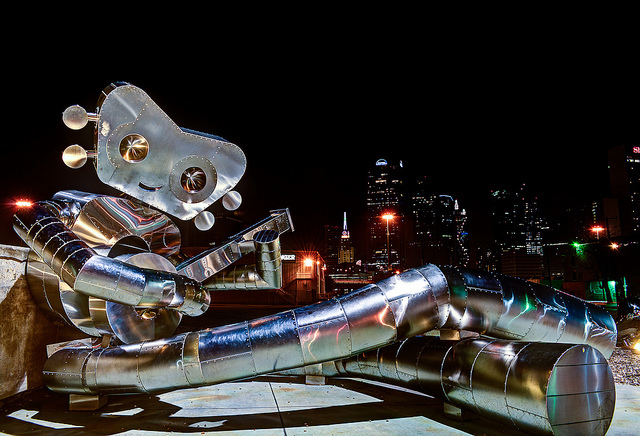 If you're in Dallas, make sure you pay a visit to The Traveling Man, whether you want to see just his head, him strumming his metal guitar, or watch as he strolls down the street in his tallest form, "Walking Tall." 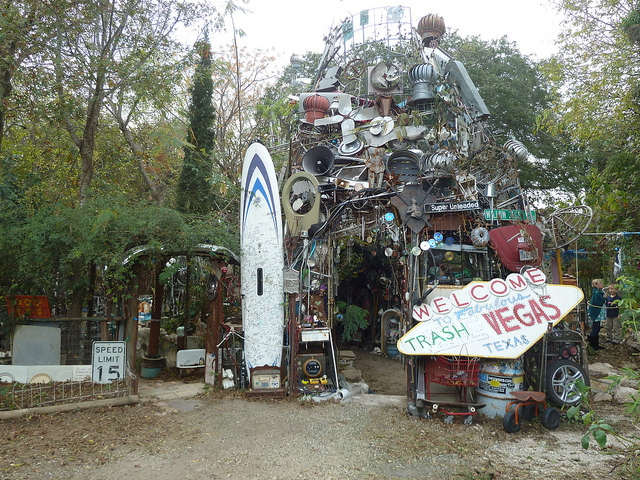 Known as the "Garage Mahal," this is easily one of the most interesting and strange museums you will ever encounter. 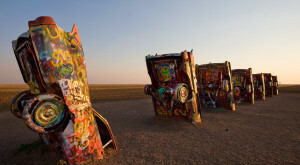 While some people love to wash and wax their cars until they can see their own reflection, the artists who have created these eclectic works of art view cars as a blank canvas on which to glue and paint objects. Many of the people whose cars have been featured here still drive their creations to work every day. 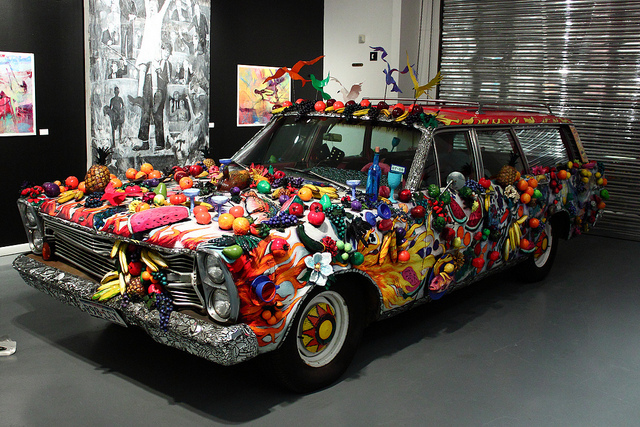 The one in the picture is called the Fruitmobile, the first of the Houston cars to be auctioned at The Orange Show in 1986. 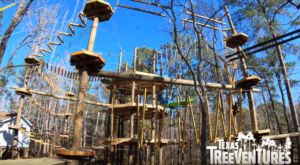 Definitely check this out when you're in Houston! 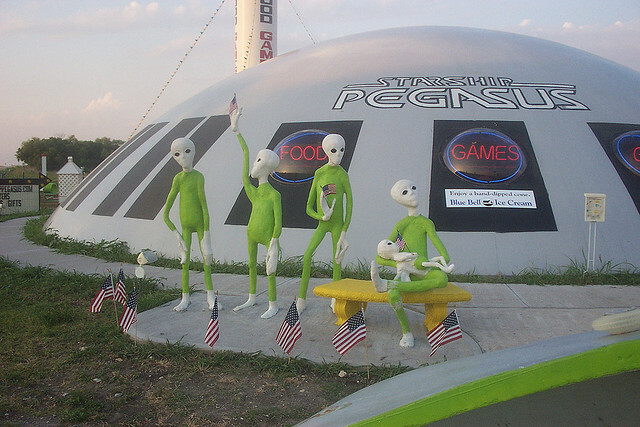 If you want to spice up a road trip, look no further than this starship in Italy just off I-35. It used to be a restaurant and family entertainment center, but closed in 2007. 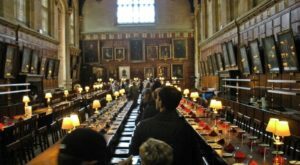 However, it still makes for an unusual photo opportunity and something interesting to tell your friends and family when you get back from a trip! Also, the property is available if you'd like to make the starship your own cosmic home or restaurant. Any takers? On the edges of the Chihuahua Desert, you will find a group of large natural rock basins, or "huecos," covered in drawings spanning many millennia. The rocks also catch and trap water in an otherwise dry-as-a-bone region, so ancient civilizations used them for a reliable source of water. 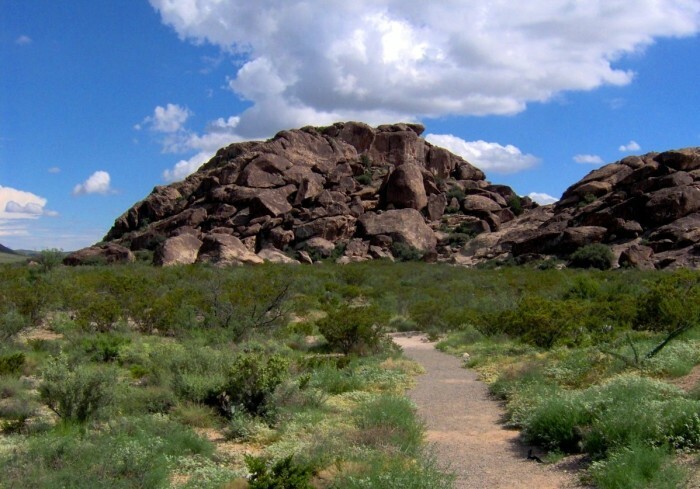 You will find the tanks in Hueco Tanks State Park, but it's suggested to make a reservation, as entrance into the park is limited. 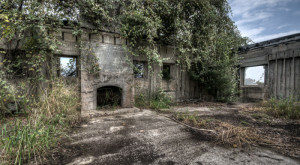 Supposedly built by a man who used to build storage tanks for oil companies, the house is now deserted aside from a man sometimes seen making improvements to the house, only to disappear for months again. The house has been there over 50 years and withstood the mighty Hurricane Ike, so at least it's structurally sound. 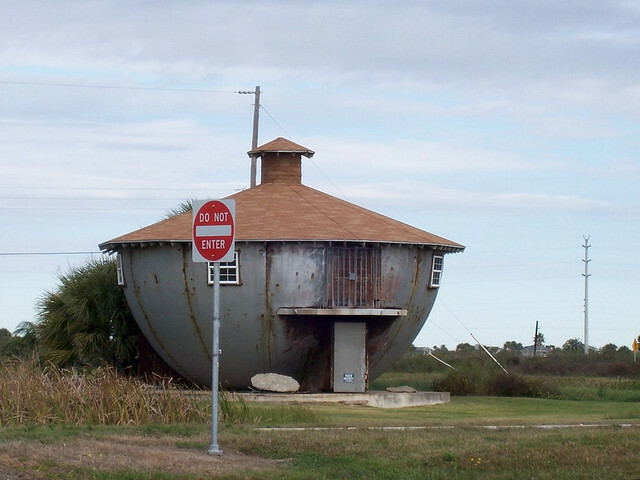 Not much else is known about it, but if you're ever looking for something to do in Galveston, you'll find this weird attraction on Miramar Drive. As you can see, there’s an abundance of strangeness in the great state of Texas. Did I miss any weird attractions or places? Which ones are your favorites? Also, if you want to see more articles like this, please let me know! I’m sure I could write dozens about all the bizarre legends and sights to see here.